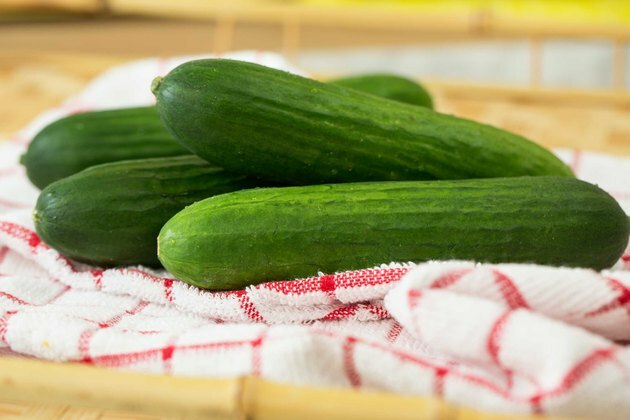 The Persian cucumber (Cucumis sativus "Persian") is a variety of burpless cucumber, meaning its consumption is less likely to cause gastrointestinal upset than other types. This cucumber is also small, sweet and essentially seedless. It's also known as Beit Alpha cucumber, a name that indicates the community in northern Israel where the fruit was originally developed. 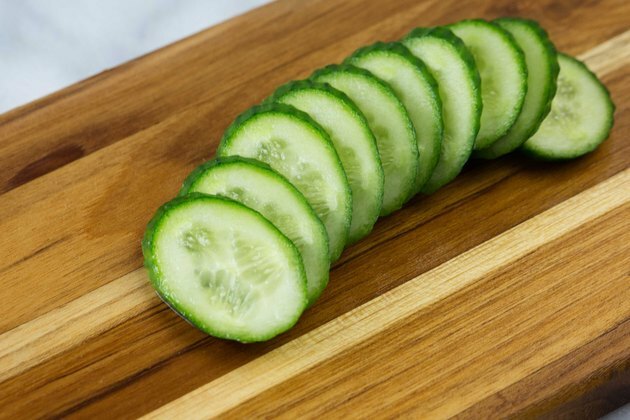 In contrast to the thick, bumpy skin of the common garden cucumber (Cucumis sativus), the Persian cucumber features a smooth, thin skin that doesn't require peeling. Its flesh is largely free of bitter-tasting seeds and is firm instead of watery, attributes that lend crunch and a mild sweetness. 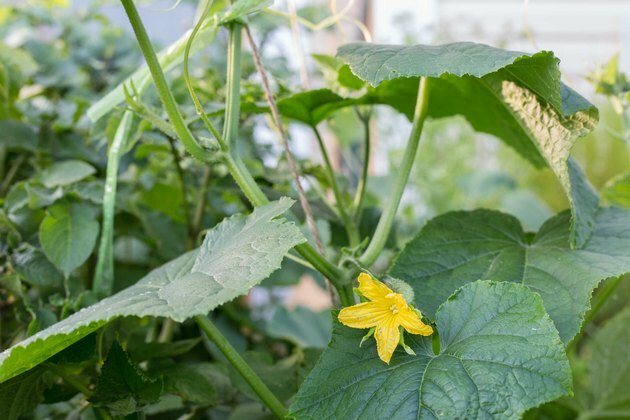 Like other members of the gourd family, the Persian cucumber grows as a creeping vine that appreciates a trellis or other vertical support to increase spread as well as reduce the risk of powdery mildew and other soil-borne diseases. As a tropical species, the plant requires a minimum soil temperature of 70 degrees Fahrenheit and at least six hours of full sun each day. 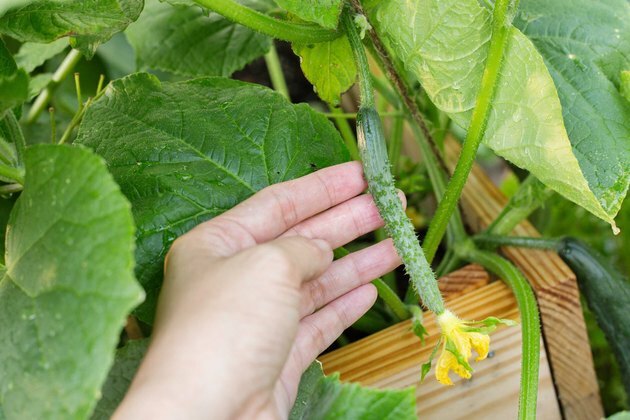 Because this annual cannot withstand frost or cold temperatures, the Persian cucumber is one of the last annual crops to be planted in the garden in spring and is best suited for U.S. Department of Agriculture plant hardiness zones 4 through 12. The ideal time to pick a Persian cucumber is when the fruit reaches 4 to 6-inches in length. If it's allowed to grow bigger, bitter seeds may develop that will compromise the flavor. 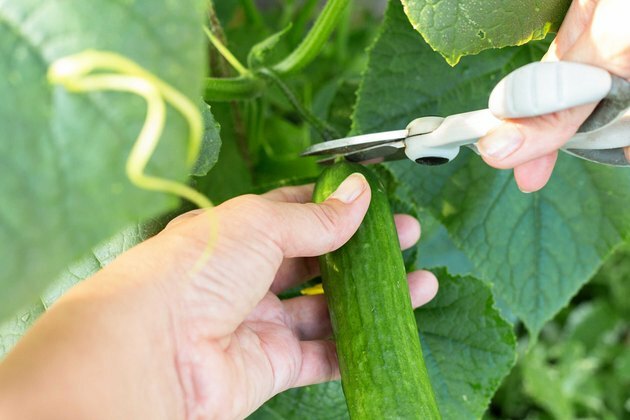 Harvesting mature fruit encourages the production of more cucumbers. When harvesting, cut, rather than pull, the fruit from the stem. 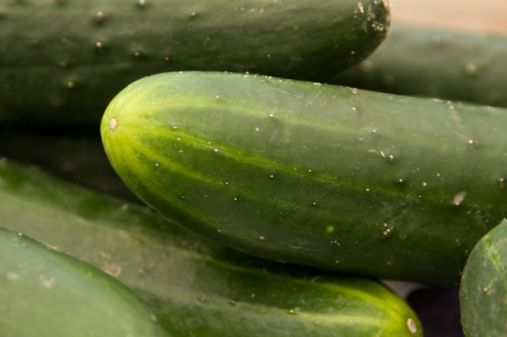 Persian cucumbers are commonly used as a slicing cucumber for salads and appetizers, although their crisp texture also makes them suitable for pickling. 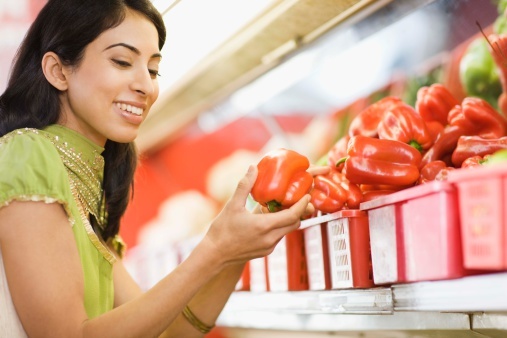 Because they blend well with a variety of spices, herbs and vegetables, they work well in dressings, dips and salsas. Notable pairings include cumin, mint, parsley, black pepper, garlic, onion and tomato. There are several cultivars of Persian cucumber, each with different qualities. Diva ("Cucumis sativus "Diva") often produces a heavier cucumber but less fruit overall. The cultivars that tend to produce the highest yield include Rambo ("Cucumis sativus "Rambo") and Sarig ("Cucumis sativus "Sarig"). Snack-sized cultivars like Silor ("Cucumis sativus "Silor"), which are typically one-third smaller, are good "take-alongs" because they fit easily into a small container or lunchbox.